In all of the hustle and bustle of the Christmas season, most people tend to forget the real meaning of Christmas. Despite the pagan origins of some Christmas traditions (Check the articles linked in "the history of Christmas" below), it is fairly widely known that the literal meaning of the word Christmas is "Christ mass," referring to a service held in honor of Christ. Yet, even those of us who hold to the Christian faith often lose sight of the real meaning or else do not take it far enough. Even though we may give mental and verbal assent to the fact that Christmas is the celebration of the Birth of Christ, we still often fail to grasp the significance of that event both for the world and for our individual lives. That is why I wrote my article "The Christmas Victory" which is now a sermon, and which now forms part of my newest novel by the same name. The article is a result of my discovering something in one of the Christmas scripture texts which I feel had been too long ignored or overlooked by the Christian community at large. But before you jump to my article you might want to read the Wikipedia and History.com articles on the history of Christmas. Then you'll surely want to read about s the meaning of some of the traditions of Christmas, some of which I excepted from an interview by Ace Collins about his book. Following that, be sure to read the article on avoiding stress and keeping your balance at Christmas, as Christmas stress can really cause us to lose sight of the real meaning of Christmas. And, if you are doing any kind of merchandising around Christmas, be sure to check out the funny but poignant Christmas classic, Stan Freberg's "Green Christmas." Finally, do check out my article to find out the real real meaning of Christmas (double "real" is intentional). I decided to put my article last, not only because I feel it is the most important, but also because it just seems that everything else leads up to it. You may not agree completely with my article, but do read through it and think through it and give it a chance. I'd appreciate any comments. 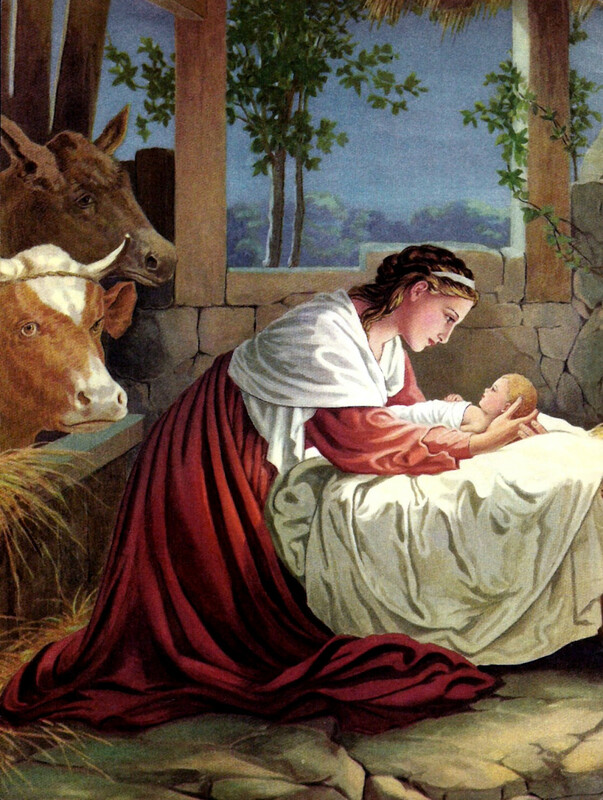 First you may want to check out the great article below from History.com for a somewhat detailed look at the history of Christmas throughout time to see how the traditions described below actually came into being and how they fit into the whole picture of the history of Christmas. 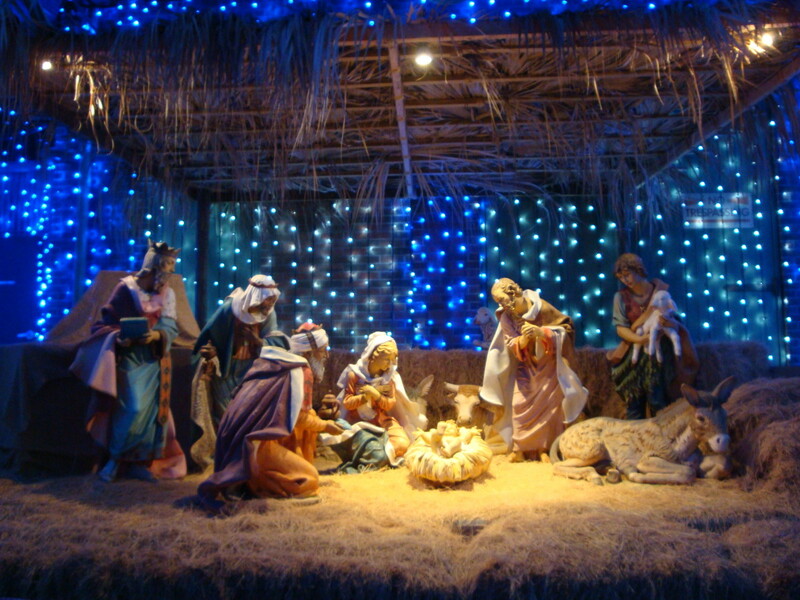 A really complete history of Christmas and it's traditions. 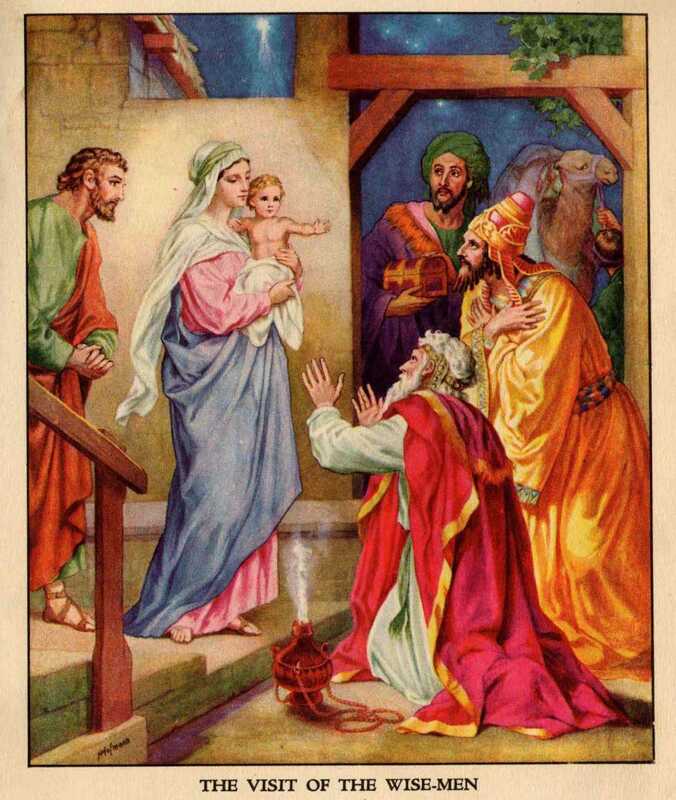 II.The meanings of the Great Traditions of Christmas . 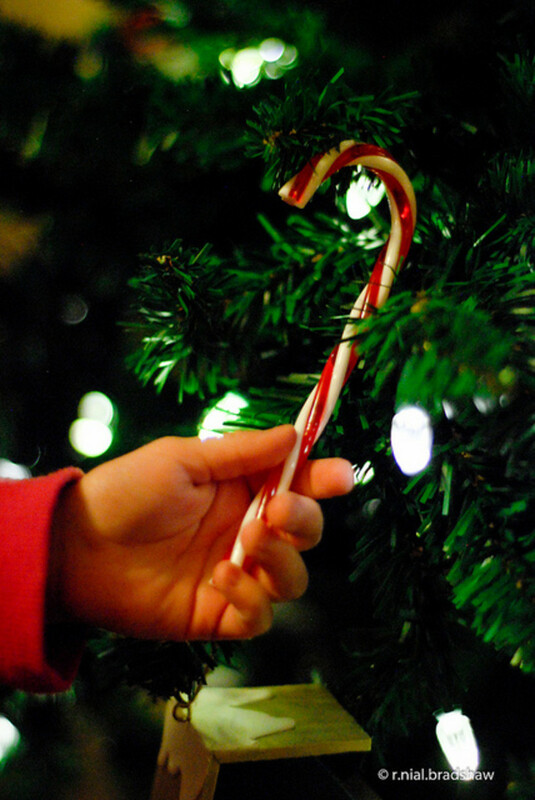 --Here are a few of the symbolic meanings of the candy cane, abbreviated from "The Legend of the Candy Cane." Since gold.is precious it speaks of Christ's kingship, but it also represents His Divinity. Green speaks of the eternal life which is ours through faith in Christ, and red represents the blood of Jesus which was shed for our sins,.... .
...[summarised from Ace Collins::] 2 wonderful Christian men began the Santa Claus legend through their faith and selflessness , Nicholas, who gave presents to poor children..., and..Good King Wenceslas' who would go through the snow giving out gifts to his poorest subjects. 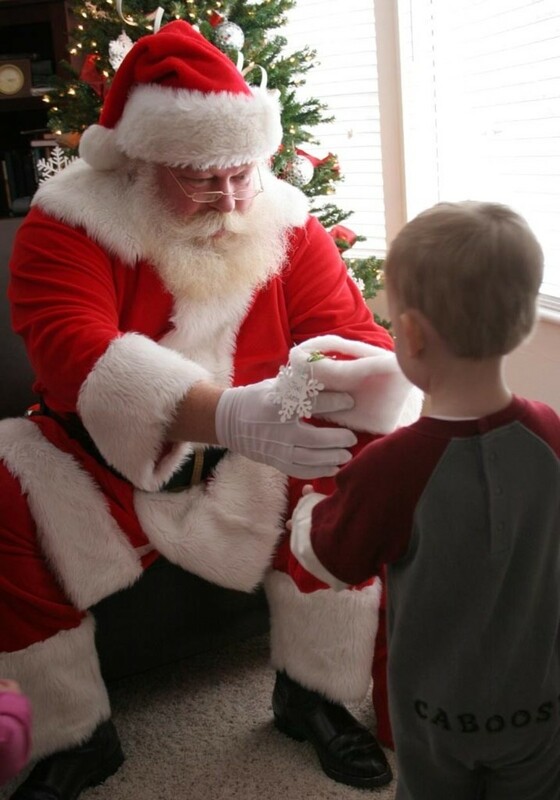 But, let's face it: For most of us Christmas means giving gifts (a tradition dating back to the magi who gave gifts to the Christ child) and, especially for the children, Christmas means, getting gifts. They can't wait for Christmas morning to find the gifts under the tree. Yes, why not give the gift of reading? Yes, give them a good book to read. They may not get as excited about it at first, but they'll thank you in the future. 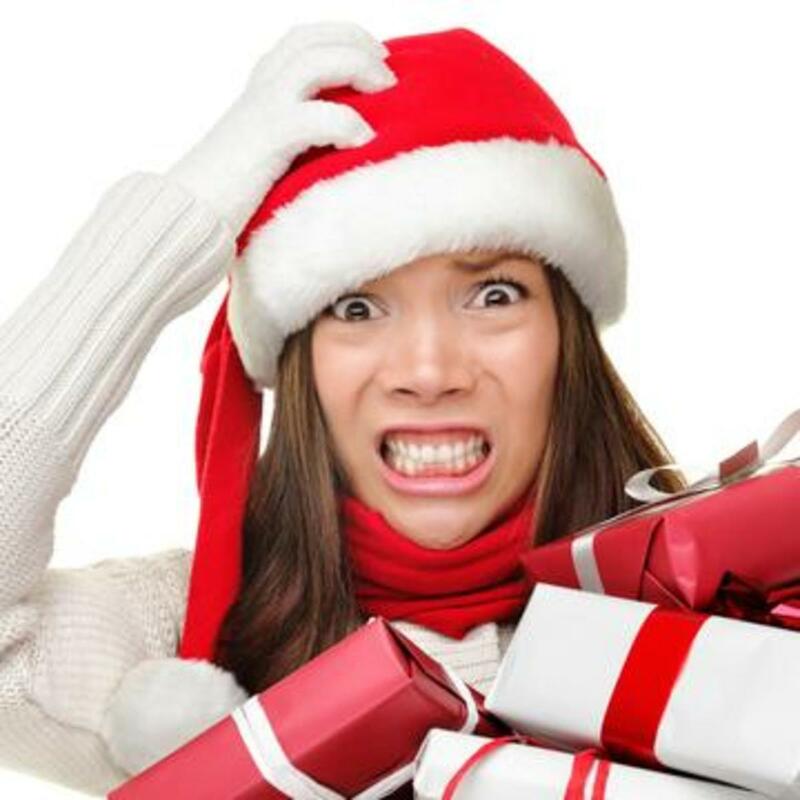 With all of the extra things to do at Christmas time, it can easily become a time of stressing rather than blessing. Here is a great article on keeping our balance at Christmas, taken from my ezine, Inspirational Success Tips. The article is called "Keeping Your Balance at Christmas" and is actually an excpert from Home on Time by Ryan Rush. Here is the introduction summarised, following which I list the main points. 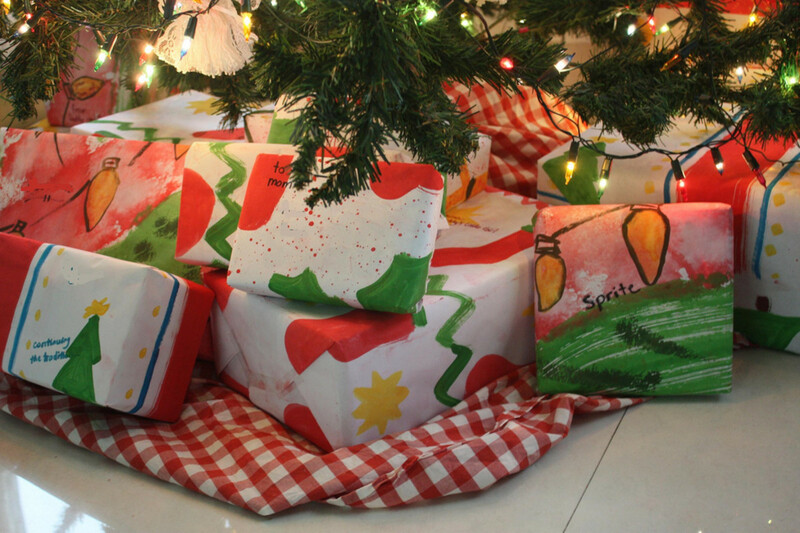 * Put Some Creativity into Christmas." You may also be able to find other helpful resources on the web for avoiding stress at Christmas time. V. Take care also to avoid getting caught up in the commercialism of Chritmas. - especially if you are a business owner or are selling something like me. I find I'm preaching to myself here, but, here's a funny but true Christmas classic which drives this point home marvelously. Take a listen. It's a brilliant satirical parody of the over-commercialisation of Christmas merchandising, with Scrooge as chairman of the advertising board, and Bob Cratchet as the voice of reason, using traditional Christmas tunes with new and humorous satirical lyrics. You'll find this gem among others as one of the offerings on the below-mentioned Christmas music hub. There are many unique and beautiful Christmas songs of which most people are sadly unaware. I have included here uniquely beautiful Christmas folk songs and uniquely funny Christmas comedy songs. VI. 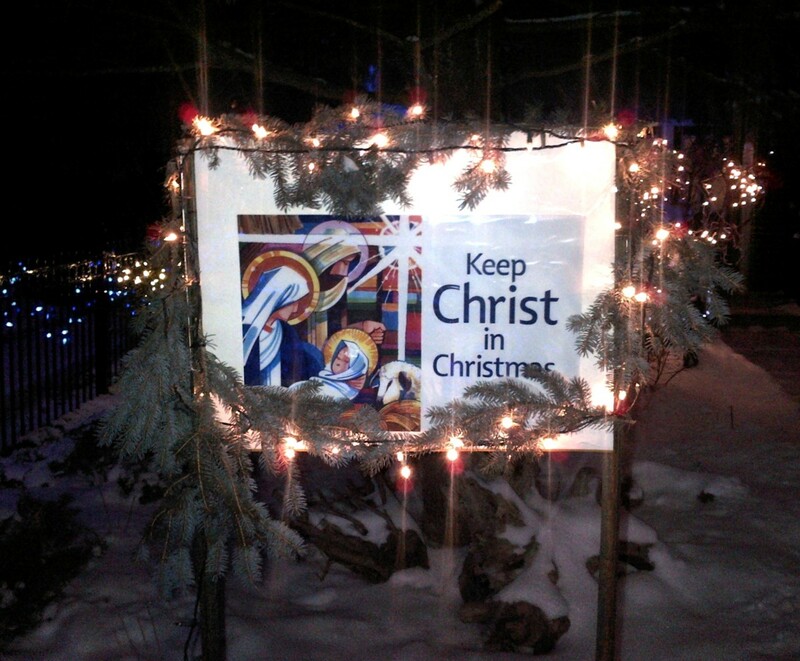 And, Don't Forget the Real Meaning of Christmas: Jesus Christ. In the above cited piece of Christmas satire from Stan Freberg, Bob Cratchet is made to say "The people always hope you remember, but you never do." and when Scrooge asks "Remember what?" Cratchet replies 'Whose Birthday it is." So, let us not forget that the real reason for the season is to celebrate the birth of Jesus, the one who came into the world to be our Savior. He came to be one of us, to live a perfect life among us, and to eventually die for us in order that he might win for us the victory over sin and death by purchasing for us, with his blood, a place in heaven. The history of man is filled with wars. but these are but a symptom of the greater spiritual war—because of sin, man is naturally at war with his creator. and this spiritual warfare shows itself in several ways specifically at Christmas time. There’s the battle against depression , as Christmas brings memories of losses or tragedies that happened at that season in years past, or a realisation that our present state of finance is not all we hoped it would be. There’s the battle against stress as we struggle to get things done—cards sent, trees trimmed, presents bought, etc. Then, there’s the battle of the bulge as some find it harder at Christmas time to avoid over indulgence in food or drink. All these battles rage on, and yet, part of the message of the angels to the shepherds on that Christmas night was peace on earth, and peace is the result of victory. VII. Discover the real true meaning of Christmas--the meaning behind the meaning.. Perhaps it's more than what you think. As you celebrate Christmas, sending out cards, putting up the tree with bright lights and decorations and getting caught up in the hustle and bustle of gift-buying, do you stop to ask yourself what is the real meaning of Christmas? If you do, what is your answer? Simply that a babe was born in a manger 2000 years ago? But then, do you ask how does it apply to me? I'm sure some of you would say that of course the babe was our Savior, who would later die for our sins. True, but even this doesn't go quite far enough. In fact, it makes Christmas seem somewhat subordinate to Good Friday. I believe however that if we would realize the full intent of His coming as given by God in the Holy Scriptures, we would see that we have good reason for making Christmas the major holiday it is and for celebrating to the hilt. What, you ask, is the full intent of His coming? It is not simply that without his birth there would not have been His death, but rather that His birth was, in itself, a sign and guarantee both of this death and of the salvation it would bring in all its fullness. This fullness includes not only a future eternity, but also a present victory and freedom from fear in our everyday lives. The first song in the CD listed below celebrates this angelic announcement to Joseph (mentioned above) in a unique way. The CD also contains several other unique original songs by John Michael Talbot as well as some unique arrangements of traditional songs, including "O' come, O'come Emmanuel," which celebrates his taking on our form as "God with us" to deliver us as mentioned further down in this article. I have this CD and really enjoy playing it every Christmas season. It is truly unique, but I did not include it my hub on "Unique Christmas Music, " because there I concentrated only on folk music and humorous songs. This CD (below) is in a class all by itself. The very name "Jesus" means "Savior," or more literally, "Deliverer." It is the transliteration of the Old Testament name, "Joshua." Thus, Joseph would no doubt have realised that, Just as Joshua led his people into victory in the land of Canaan, so Mary's son would be the one to lead us to victory in the land of our Spiritual heritage. There is no question that in Matthew the word "virgin" can only mean "virgin." When we come to original Hebrew Isaiah.7:14, however, the case is different. The Hebrew language, being much broader in its word usage than Greek, allows for several related meanings to be attached to one word within a general context or circle of meaning. The Hebrew word "alma," which was translated as "virgin" by the King James translators in Is.7:14 has a broad meaning of "a young woman of marriageable age, one of whose characteristics may or may not be that she is a virgin." (See I Chr.15:20, Psalms.68:25, Prov.30:19, Song 1:3 & 6::8) Thus, the translators of the RSV translated it as "young woman." They were roundly criticised, although this is a perfectly allowable translation, and one that fits more readily into the context. The immediate context would be the 7th and 8th chapters. Forget Christmas for a moment--forget Matthew's quotation of verse 14 and try to picture yourself back in the time of Ahaz and Isaiah. In the beginning of Chapter 7, we see that we are involved with a situation of actual physical warfare. Ahaz, king of Judah is facing two enemies, Rezin, king of Syria and Pekah, king of Israel, and he's scared to death. Thus, the LORD sent Isaiah to tell Ahaz not to fear, because these two kings would be defeated. Sensing Ahaz's doubt, the LORD asked Ahaz to as Him for a sign, but Ahaz, in a false piety, refused. So the LORD said that He would give Ahaz a sign. Thus, we come to verse 14. If we translate "alma" as "young woman" and continue reading through verse 16, we see clearly what the sign to Ahaz was. The LORD is saying that a child will be born, and before the child is of age, the land whose two kings Ahaz dreads will be forsaken. If we continue on into Chapter 8, we see that a child is indeed born. Isaiah had a son, whose name means "hast-ye-haste-ye-to-the-spoil," and a similar statement is made in verse 4 to that of 7:16, tying Isiah's son in with the prophecy of physical victory made to Ahaz. The child is even called "Emmanuel," which means "God with us" in verse 8. A Jewish boy is considered old enough to know right from wrong at 12 years old and the land was forsaken just twelve years later. Ahaz feared two enemies. We also have two enemies, which we need now no longer fear. I mentioned Is.8:18. This verse is quoted in the New Testament in Hebrews.2:13 in reference to the incarnation of Christ and His identification with the believers, and verses 14 & 15 show that he came to set us free from the fear of death, and that in order to do so, He had to become one of us. Paul also speaks of this victory over death in ICor.15:55-57. This ties in with the green of the evergreen tree representing eternal life. It also looks forward to His second advent, the expectation of which we should also be celebrating at this season and which Paul referred to verse 51-54 of the I Cor. passage. Jesus had to come and take upon Him our human nature-to truly become our Emmanuel (God with us) . Although He was God, in order to save us, he had to become man. In order to defeat death, Jesus also had to defeat is the 2nd enemy--sin, mentioned in verses 17 & 18 of Hebrews 2. 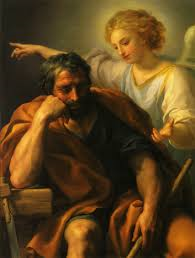 In vs. 17 he sets us free from the penalty of sin by taking it upon himself and thus wins the victory by waging peace. Thus included in the Angels message to the Shepherds was "Peace on earth." But real peace starts with inward peace and that starts with peace with God which results in the peace of God. In vs. 18, we see that He also sets us free from the power of sin by being tempted like us. He had to become man--take our nature upon Him and be tempted like us in order to be qualified to help us when we are tempted. 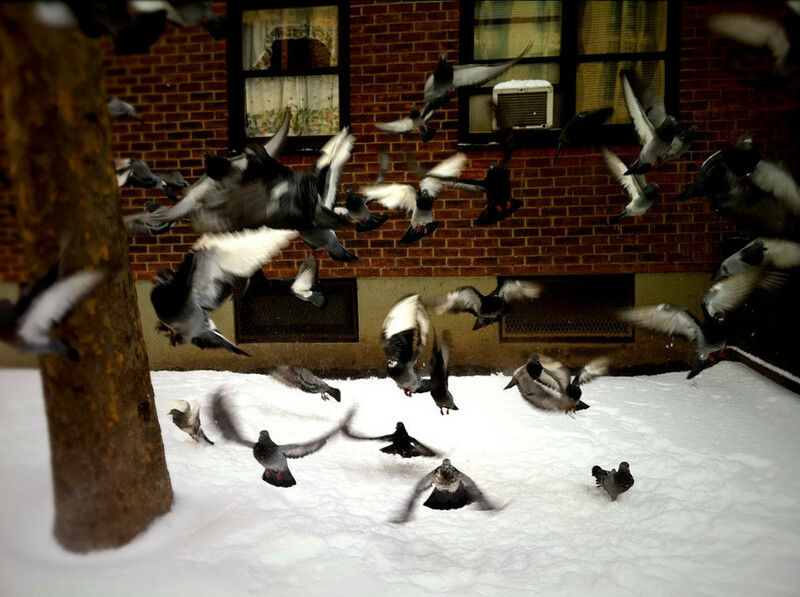 Paul Harvey always used to tell this story about a man and some birds around Christmas time. It became a tradition, as we always used to look forward to hearing it, and it fits perfectly, for if we try to be good and resist temptation in our own human efforts we are like those birds, flapping around furiously in the snow and getting nowhere until we put our trust in the one who became one of us to lead us to victory. This. then, is the real meaning of Christmas-that Jesus came to be our sign of victory-to show us that we need no longer fear the enemies of sin and death. It is evident as well in Chapter 9 of Isaiah, where the specific promise of the birth of Christ-the son to be given in verse 6-is couched in the language of warfare and victory (vs.4 & 5). It is further confirmed by the prophecy of the angel to Mary in Luke 1:33, and in the Magnificant of Mary and the Benidictus of Zacharias (Luke 1:46-55 & a68-79), especially vs.69, 71, &74-75. These especially present the idea that Jesus delivers us for fear-free service to God, and through serving Him, to serve others. Read these wonderful portions of scripture and rejoice in the fact that victory can be yours through faith in Jesus, whose birth we celebrate at this time of year. "Hast-ye-haste-ye-to-the-spoil!" May the bright lights beautifully trimmed trees and other decorations, fancily wrapped gifts and especially the babes in the manger scenes we see this season serve to remind us of the glorious victory which can be ours, once we have accepted the free gift of His salvation to us. Unique historical novel: "The Christmas Victory"
My 5th published book is a unique historical novel, called "THE CHRISTMAS VICTORY, A Gem of a Sermon All Wrapped Up in A Historicak Novel." It's about H.W. Longfellow, his son and and Mark Twain. As I pointed out in my message (above) Jesus had to come and take upon Him our human nature. Although He was God, He had to become man. This resource (below) will help you to really enter into daily the fullness of what that entails: This is the meaning of the Incarnation. This is the meaning of Christmas. When we cut through all of the sentiment and marketing to the spiritual richness and vitality of Christmas, we not only discover who God is, but who we are as human beings. When we become adults, and the wide-eyed wonder of childhood has passed, we need to replace what was once magical with something much more meaningful. Now is the time to put first things first, and seek silence, if only for a few precious minutes a day. Now, ever more intently, we are to watch and listen for God. The resource listed below, named after the title of Jesus given in the 8th chapter of the prophesy of Isaiah, is not a book to be read through but an experience to be realized daily. It is the perfect tool for those who want to enter into the way the early Christians experienced the Christmas season--from Advent to Epiphany. It is truly a smorgasbord of Scripture, reflection, prayer and history, with daily meditations for the complete seasons of Advent, Christmas, and Epiphany, enhanced by carefully selected classic and contemporary art masterpieces. 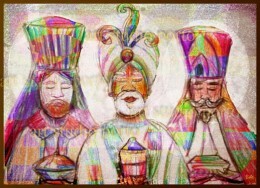 Check your understanding and knowledge: Click to take my Christmas symbols quiz. Now that you've been through this hub have seen some of the meanings of the Christmas traditions, why not test your Christmas knowledge, your yuletide mettle, your holiday trivia by taking my Christmas quiz? Click the above link. Christ Centered Web - Directory AND IN ASR Search Engine AND Sermons Outlines, Free Pentecostal Bible Studies, Topical Sermons, Podcasts - Sowing Seeds of faith by Ken Birks. This hub is great! 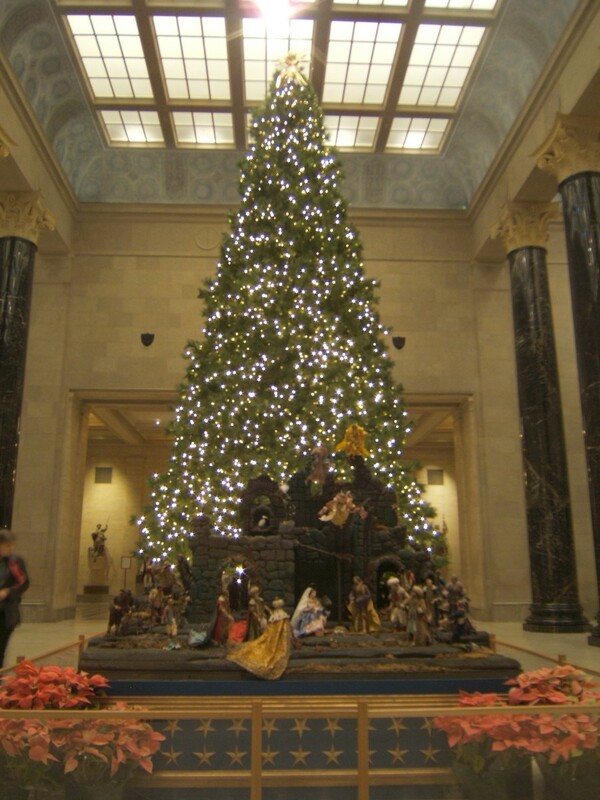 Thank you for sharing so much information about Christmas and it's impactimpact on history. Glad you shared this. Always good to have this reminder. Very thoughtful. Although I do enjoy making a little extra money at Christmas you are right, it's important to remember the real reason for Christmas too. I had the same thought's as you. Thanks for featuring my lens but I wanted to share how your lens on hymns was important to me. I lost a cousin recently to cancer and wanted to give my other cousin, her sister, a little comfort. I found "It is well with my soul" so I posted it on Facebook. Normally if I post something, which is not often, family or friends will comment. I only had one person respond and it was Pat. It seems that I was blessed and so was she. Your lenses touch people in ways you probably wouldn't expect so thank you so much. Amen - I love this lens! It always saddens me that Christ is being removed from Christmas - and how Christmas is referred to as "Xmas", and now if you don't refer to Christmas as the "holidays" - you are not being "politically-correct". I love Jesus Christ, my Lord! What a thoughtful and carefully put together lens. I happened here by accident (well, it's February!) but I'm glad I came. The Best Christmas gift any of us ever received is the Birth of Christ! How Blessed we are...I Love this lens, nicely done and thanks for sharing an important event that many have forgotten or never known...may this lens plant a seed. what a great lens about the true meaning of Christmas. A wonderful lens about how Christmas really started, you have been blessed. I really enjoyed reading your lens. It is nice to see others who celebrate the this time of year for the real true reason instead of celebrating it just for gifts or decorations. Very nice lens! lovely lens, great information, thank you and happy holidays. A great read. Very informative lens. Great lens idea, that was wild about the real meaning behind the X of X-mas. I still probably wont use it because of the negative connotations associated with it. Love Jesus. Thanks. Wonderful lens! Thanks for sharing this has expanded my knowledge about the origins of Christmas. A Scholar's Journey to Galilee, Home of Jesus. I know James, the first Pope of the Christian Church ! Thanks for sharing. I enjoyed reading this. Nice work! Nice inspiration lens. Blessed by another Squid Angel. Blessed by a squid angel and featured on Me?!! A Squid Angel. Great Job!! I appreciate the honesty of this lens, and am looking forward to the article! =D Thanks again! 9 years ago from Midwest U.S.A.
Hi Faithful Jim! Great Job :) I lensrolled to my Christian Kid's Book page. Love the lens topic! Jesus truly is the Reason for the season! Welcome to the group, "Holidays Galore!" Good stuff. 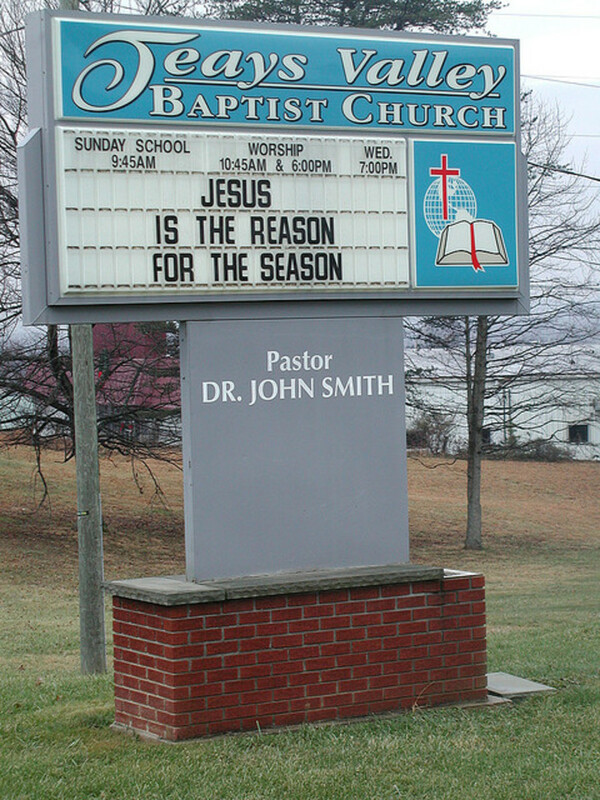 Thanks for the facts about Christmas.